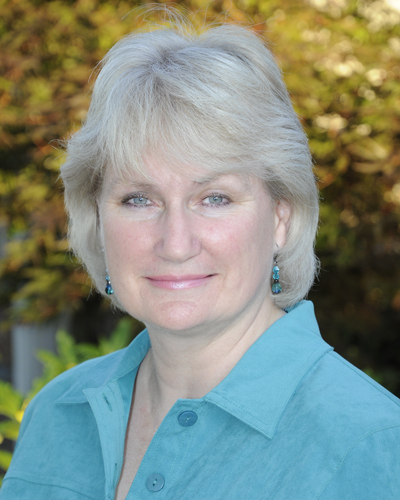 Rather than offer Carol Preston a standard interview, I asked her to share part of her life with us – either a story about how she met her husband or her testimony of faith. Carol offered to share about both. Meeting my husband, Neil, and beginning my faith journey, really happened about the same time. It all seems so long ago now that I can hardly imagine being without either. I was just thirteen when my Mum and I attended a Christian rally with an American speaker, whose message really made it clear to me that a commitment to follow Jesus would give my life meaning, purpose and joy. So I pushed my way to the front when the invitation was given and I’ve been walking with God ever since. Within weeks my Mum decided it would be best if we began to attend the church she had grown up in, and that was the Church of Christ. We began going to services in that church and I went off to youth group with a couple of my friends. Neil was one of the youth group leaders and over the next couple of years we got to know each other, fell in love and we were married when I was just 19, and he 20. In those days this was a pretty normal pattern amongst the young people at church. We all wanted similar things and had similar expectations. We were focussed on living our lives for God and partnering with someone of like mind was a priority. So while we experienced all the challenges of getting to know someone new and working out how to love, bless and support one another, neither of us had any doubt that we were meant to be together for our lives. And now here we are 45 years later! Plenty of ups and downs, two wonderful children, a wonderful daughter-in-law, and son-in-law, and four gorgeous grandchildren. A very blessed life for which I am very grateful. How wonderful to have both found the Lord and the love of your life around the same time. Last week I reviewed Carol’s novel Tangled Secrets in conjunction with the ACRBA blog tour. You can read the review here. I asked Carol to tell us what she’s working on now. At the moment I am writing my ninth novel. It’s an historical fiction, of course, and based on the real lives of some more of my ancestors. This is quite a different story though, as it’s based on a family who immigrated to Australia from Germany, to work in Grafton. The family, along with many others, was supported in coming here to take up work in a factory belonging to a German immigrant who had been very successful in business and wanted to share his good fortune with fellow countrymen. So I’m moving away from stories about convicts and facing some interesting challenges of writing about language and cultural barriers which would have faced these newcomers. Of course, it’s still a love story and there are some sad, as well as exciting historical events which occur during the period about which I’m writing – the late 1800s. I’m really enjoying the research and the writing and hope it will be a really good read. I have no title yet but it will essentially be a story about belonging. When Betsy’s beloved grandfather dies in suspicious circumstances she is determined to find out the truth about his final hours. Even when she uncovers long held secrets in his past, she holds onto her belief in his goodness. I’ve read several of Carol’s books now and I love the way she creates full characters and lives and stories from the details she has unearthed from her own ancestry. It really gives you a sense of what life might have been like in the early days of Australia for these people. 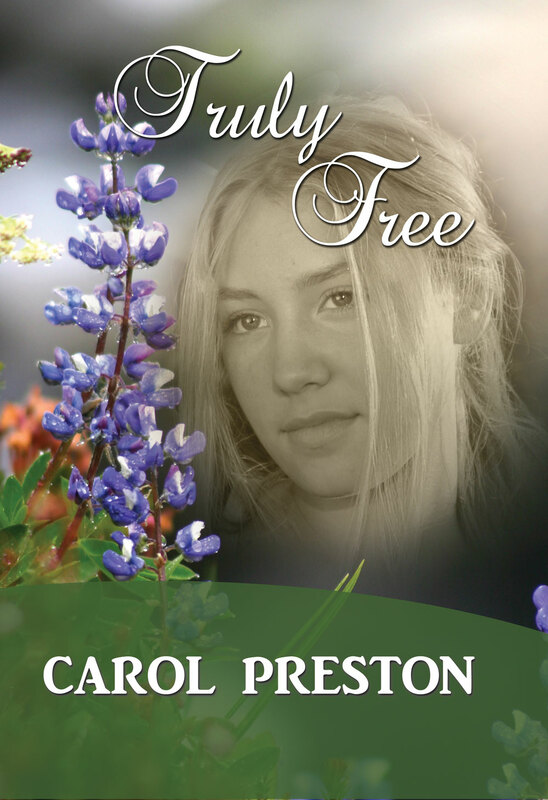 I was glad to hear that Carol’s next novel, Truly Free, is a follow on from Tangled Secrets, because while I really enjoyed the read and kept wondering what would happen left, some things were left unresolved. I am looking forward to reading the rest of this story when Truly Free is released in June this year. 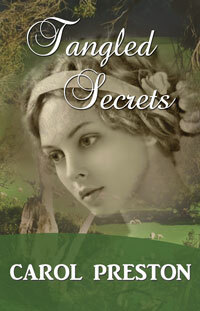 If you love to read about the pioneering days of Australia’s history, you’ll love Tangled Secrets. How could she believe in her future when she couldn’t escape her past? Book I of the Watermark Women Trilogy is the story of Megan Trevallyn, a young English governess who stands accused of a heinous crime. The cast of characters whose lives entwine with Megan’s destiny is as follows: Cornelia Cantrell, the scheming mistress of the Mayfair mansion; Captain Charles Cantrell, her love; Lieutenant John Stafford, her nemesis; Ezra Montefiore, an ardent suitor. And her Christian mentor, Caroline Chisholm, the bane of all who practice excessive adherence to rules and regulations in the new colony. Journey with her as her heart is broken by a traumatic fraudulent report. Megan will encounter duplicity by those of her household who stand to gain most by her transportation to a harsh penal colony in Australia. Stripped of everything except her faith, upon her arrival will she survive the daunting challenge she faces? And will this be a land of promise…or perdition? As a lover of historicals, particularly Australian historicals, I had to read this novel. And Rita Galieh didn’t disappoint. Signed Sealed Delivered really brought out the hardships that serving women faced in the 1800s. Without money or title, Megan Trevallyn has difficulty proving her word against those who would seek to ruin her life. Therefore, she ends up being transported to Australia in a sad case of injustice. We follow Megan as she tries to live with what has happened to her, and maintain her faith in God in the midst of her troubles. This novel held my interest from the beginning. One thing after another happens to this poor girl and I had to keep turning the pages to see if any good would come of it all. The pace kept me turning pages right through to the dramatic climax of the story and to its satisfaction. The only thing I would say is I would have liked to see more of Megan’s internal struggle with what had happened to her as I felt this deeper side of the story was glossed over at times. 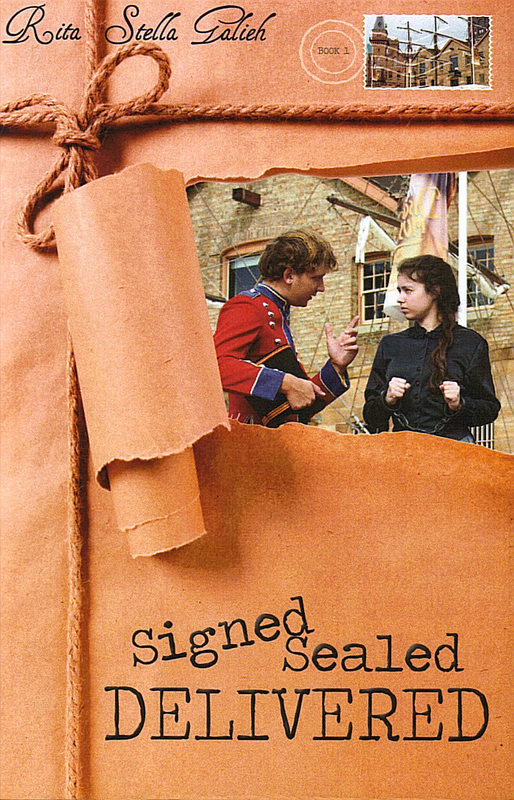 If you love historical novels with a fast paced story line and plenty of tension, Signed Sealed Delivered is for you. 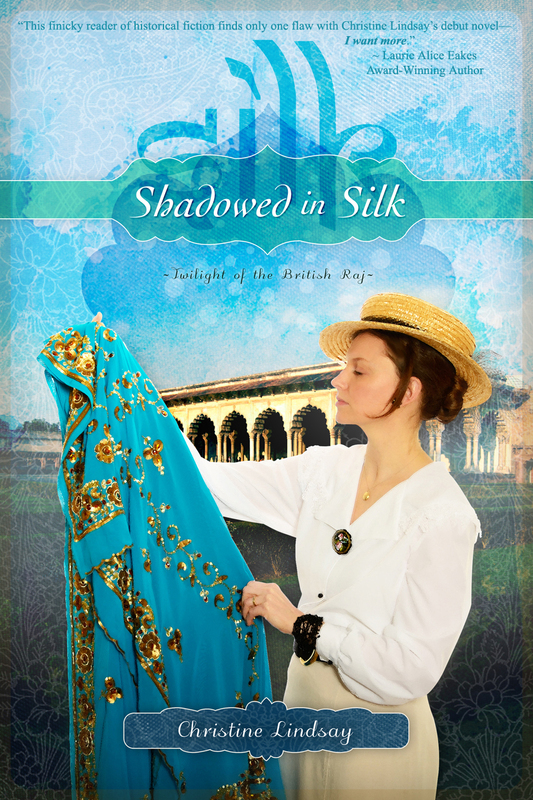 Passionate about faith-based fiction, Rita focuses on the Victorian era with all its undercurrents. 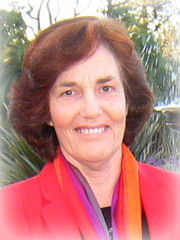 With two novels released by a traditional Australian publisher and several US Cup of Comfort anthologies, she blogs weekly at http://inspirationalromance.blogspot.com.au with nearly 1000 hits per month. She studied art at the Sydney National Art School and now enjoys painting pictures with words. 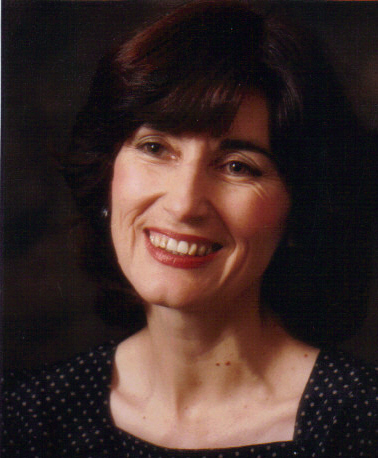 A graduate of Emmaus Bible College, together with her evangelist/violinist husband, George, she writes scripts and is a co-speaker on a Christian radio program broadcast Australia-wide. And each year she and George combine art and music with a message for a month of ministry in Thailand in Buddhist government schools, prisons, orphanages, hospitals, and churches.